Sylvia’s Flowers is a family owned & operated business serving Arlington Heights, Chicago & over 180 suburbs for over 60 years. Quality assurance and product freshness are well reputated through our long relationships with both the residential and commercial communities. With our ability to express the emotions of Joy, Congratulations, Thank you and Sympathy by using flowers, plants, gourmet foods & silks, our customers have come to trust our selections as well as our suggestions. Additional products like Balloons, Plush Animals and Candy are welcomed enhancements to our floral selections. 100,000 Flower Arrangements Delivered To Happy Recipients In The Chicago Area. Our Clients Include U.S. Presidents, (Current & Past) Members of the Political Ruling Class, (From Both Sides Of The Aisle), Foreign Heads Of State, State Political Figures, National and Local News Persons, Forbes Top 100 Wealthy, Hollywood Stars and Starlets, Rock Stars and Rock Legends, and so many more...Hopefully, It will Include You! We Are A Local Florist Centrally Located in Downtown Chicago, Near All of Chicago's Downtown Hotels and Event Venues. Within walking distance to Northwestern Memorial Hospital, Prentice Woman’s Hospital, Lurie Children’s Hospital, and Chicago Rehabilitation Institute. We offer Same Day Delivery of Floral Gifts On Orders Received before 5:00 PM To Chicago. 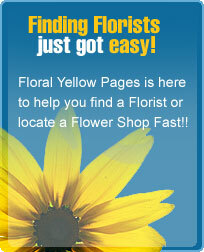 We carry a large selection of Cut Flowers. We also carry Orchid Plants and Lucky Bamboo. We have unique Delivery Upgrades. We Specialize in Weddings and Events.